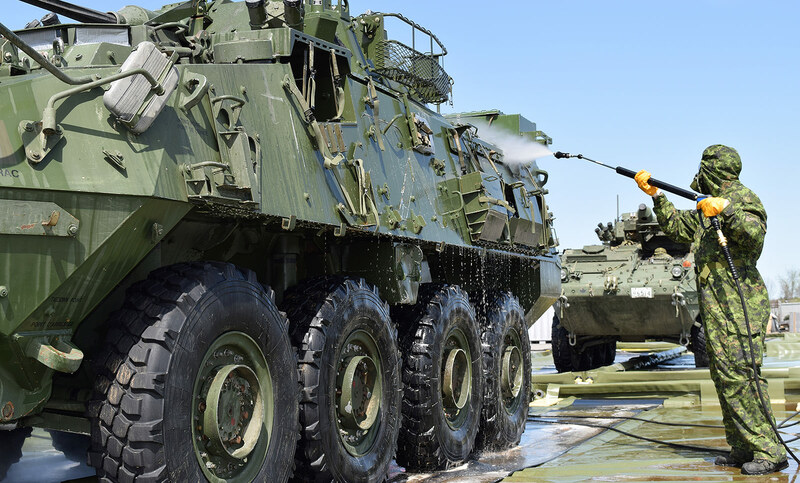 As part of an evolution of operational requirements, the Canadian Department of National Defence (DND) sought Industry proposals for an update to its Chemical, Biological, Radioactive and Nuclear (CBRN) decontamination capabilities for both personnel and military equipment. 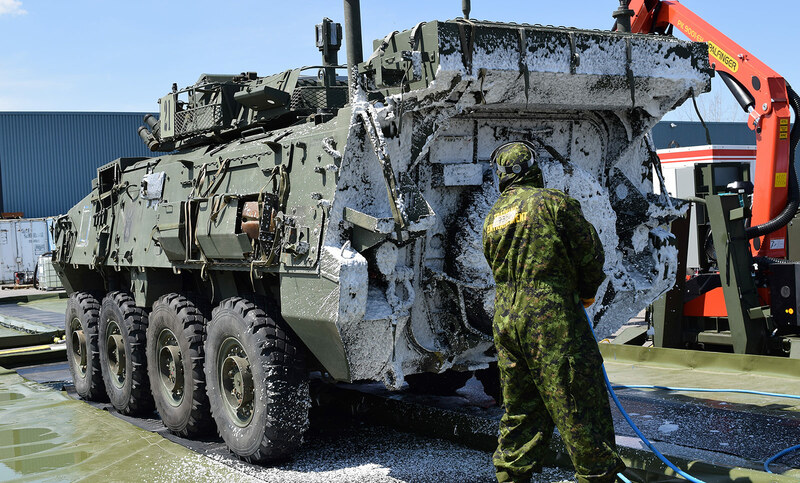 In response to a competitive bidding process in 2014, the Canadian government awarded a contract to our team at DEW worth $21.3 million for the delivery of six vehicle and personnel CBRN decontamination systems. The contract award included a requirement for in-service support (ISS) for five years, as well as options for up to three additional systems, and three five-year extensions for ISS, for a total of up to 20 years ISS support. In response to the bid, we partnered with NBC-Sys of Saint-Chamond, France. NBC-Sys, a subsidiary of NEXTER, is a world leader in CBRN protection and decontamination equipment. 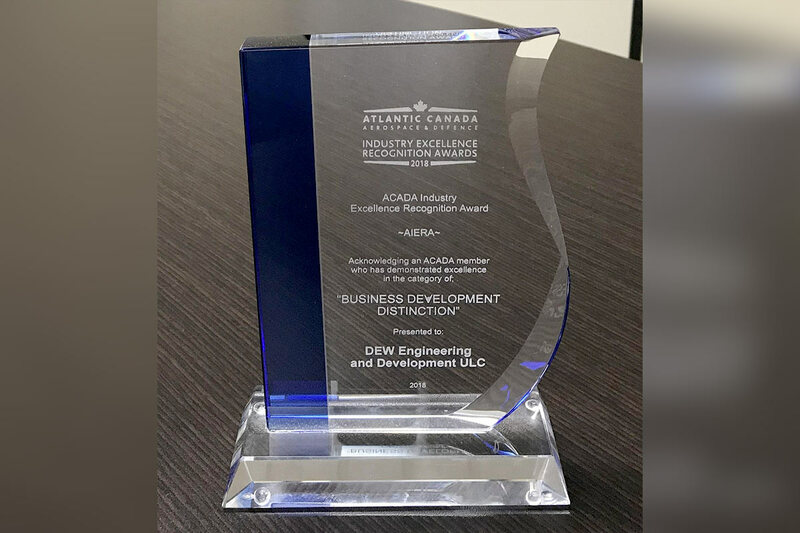 They supplied our team with the decontaminant fluid, mixing and spraying equipment and personnel decontamination soft-wall shelter systems. As the lead system integrator and Prime Contractor, we designed and produced the flat-rack with the personnel lift and provided the fluid containment berms, tanks, heaters and generator, ISO containers and stowage and retrieval system. 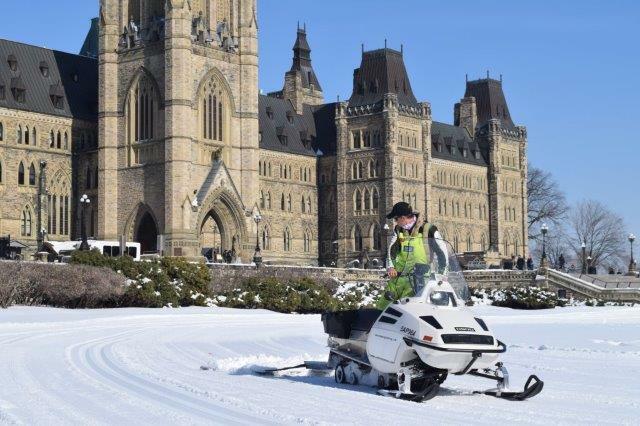 The system is equipped to decontaminate vehicles and personnel simultaneously, both in austere and/or developed environments, and in temperatures ranging between -19°C (-2°F) to +49°C (120°F). 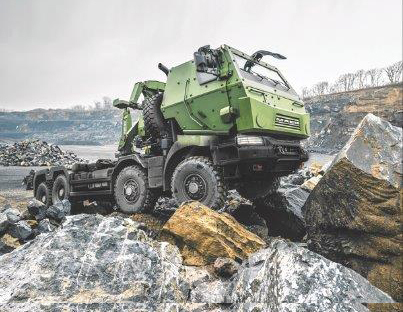 It's deployable and safe for use in the vicinity of personnel areas, with low noise emission and separate catchment berms and storage bladders for all grey and contaminated water. There are three decontamination lines for personnel decontamination; two lines to simultaneously process male and female personnel on foot, while the other line is for personnel on stretchers, with all three lines being visually segregated to ensure privacy. The vehicle decontamination line includes three stations: wash, decontamination and rinse. 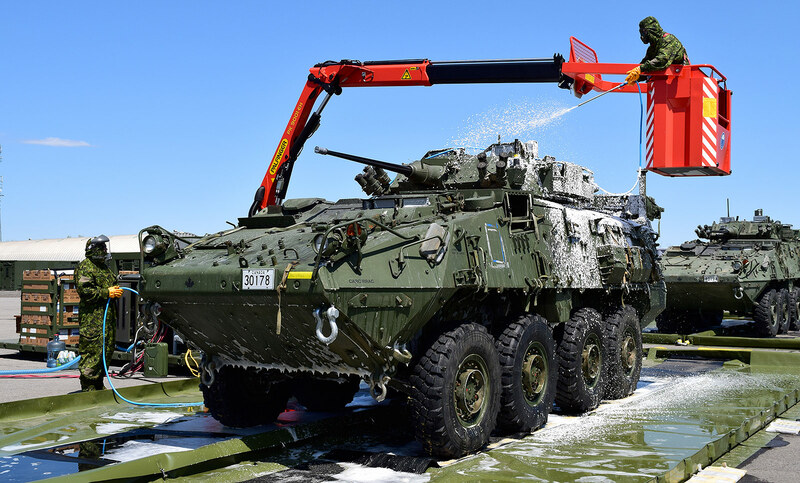 The wash and rinse stations feature high pressure heated water and features both a ground based decontamination lance and a lance mounted in a crane based work platform that can handle a wide-range of vehicles including trucks, light armored vehicles (LAVs), tanks and other larger vehicles. The resulting system decontaminates both personnel and their equipment, including personal weapons in a temperature controlled rinse, decontaminate and dressing area. The systems are packaged in two 20-foot ISO containers and one flatrack to provide a complete self-contained and self-powered decontamination capability. 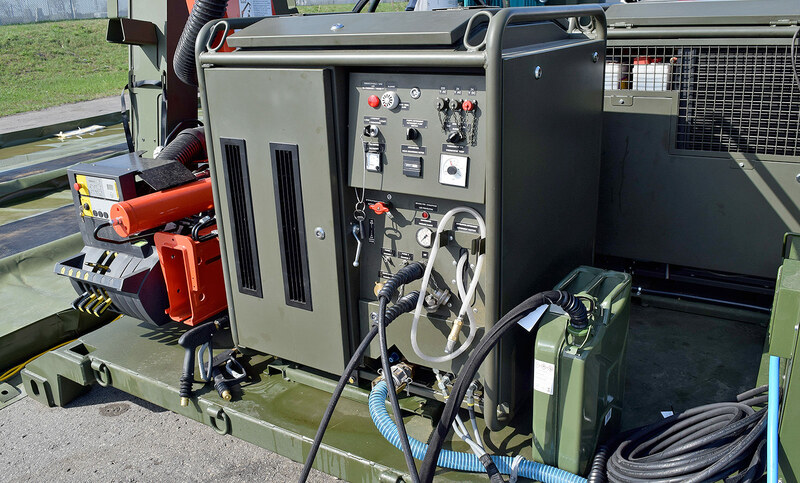 The flatrack incorporates an elevating operator platform to apply CBRN decontaminant onto trucks, LAVs and Tanks, as well as buildings and/or aircraft. 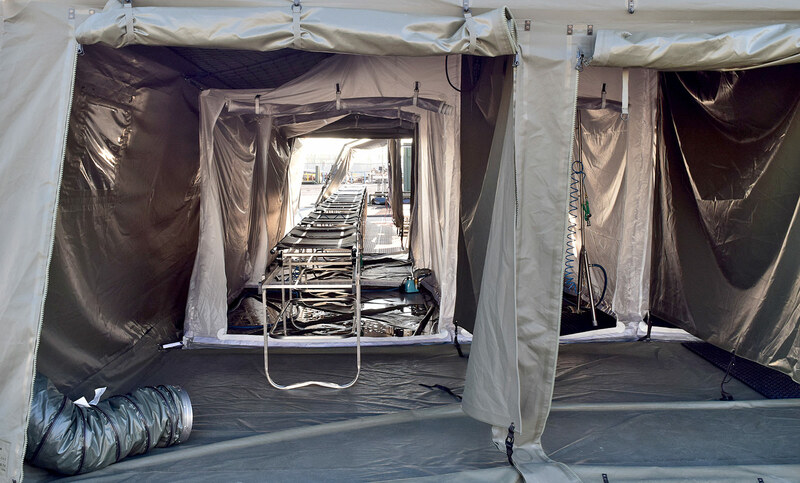 Personnel decontamination is performed inside a rapid deployment tent system deployed from one ISO container. 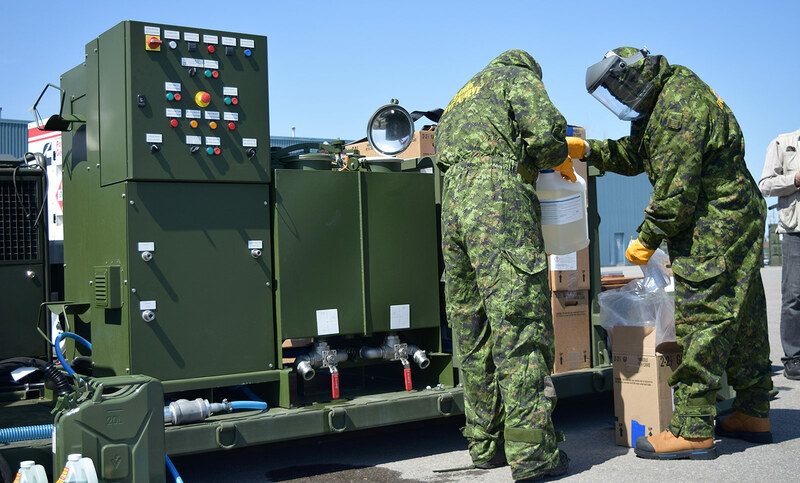 This decontamination system will modernize the CAF's CBRN decontamination capabilities and demonstrates the capability of DEW to meet the rigorous technical requirements of the contract. The result is both a quality product for the CAF, and economic benefits for Canadian industry.